OH, my goodness, I love this trilogy, and one of the best things is that is was written by a woman!!!!! Yea, us. 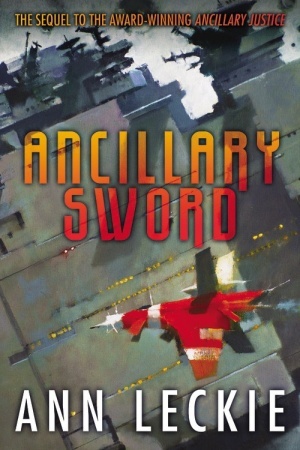 Ancillary Sword is the second novel in Leckie’s “Imperial Radch” space opera trilogy, which began with Ancillary Justice, which I wrote about here. An ancillary is the term for a human who has been turned into an AI, usually unwillingly, with implants, and is used to supplement the work and activities of a ship’s AI. It took me all three books in the series to have the aHA! moment concerning the titles. The series features one ancillary from the troop transport ship Justice of Toren, Breq, so the first book is not so much about justice, as it is about setting up the full storyline which is about Breq’s fight with the head of the Radch who has splintered off into different factions of herself (or possibly himself, we don’t know since the female pronouns are used exclusively throughout the series.) There is some justice served, but it is not the main plot point. This second book has Anaander Mianaai, the Lord of the Radch – or the part of her personality that opposes further militant expansion of the empire – adopts Breq into her house, appoints her Fleet Captain, puts her in command of the warship Mercy of Kalr, and charges her to protect the remote Athoek system. Breq’s crew includes her old comrade Seivarden and the young Lieutenant Tisarwat, who is revealed to be an ancillary copy of Anaander herself. After Breq recognizes Tisarwat as an ancillary of Anaander, she has her ancillary implants removed, allowing Tisarwat to develop an independent personality. At Athoek Station, Breq seeks out Basnaaid, the sister of Awn, an officer Breq, as the ship Justice of Toren, once loved and, on Anaander’s orders, killed. She meets Dlique, translator for the alien Presger, who is killed in a scuffle with ancillaries of Sword of Atagaris – the other warship on station, commanded by Captain Hetnys, Breq’s nominal subordinate. To hopefully placate the powerful aliens, Breq and Hetnys enter formal mourning on the estate of Fosyf, a prominent tea planter who holds her workers, transportees from other Radch-conquered worlds, in conditions akin to serfdom. After Breq survives an attempt on her life by Raughd, Fosyf’s abusive heir, she suspects that somebody abducts suspended transportees, possibly an ancient warship seeking to replenish its ancillary crew. Hetnys and her ship move against Breq, apparently serving the other half of Anaander Mianaai, but they are subdued after Breq holds Hetnys hostage. Plot description stolen from Wiki. So sue me. I finally, after reading the third in the series, Ancillary Mercy, realize …. (I’m a slow learner) that the series is named after classes of space ships in this fictional world. Justices are huge carriers, Swords are warships, and Mercys are small fighters. And that each volume addresses the concept suggested by each class of ship. This second volume is about fighting and potential warfare. Just LOVE this series. It is space opera. Well, for me, not so much space opera but a story of loyalty, betrayal, and just trying to get by with a little help from our friends, all wrapped up in some of the absolutely coolest futuristic space ideas ever. If hard science sci fi flips your tortillas, then this series is a must read. I am becoming fascinated with the current trend for damaged yet lovable protagonist detective types. Ain’t nobody mentally healthy anymore? If you read enough crime fiction, you will be convinced that everyone in the murder-solving business is flawed, impaired and just generally messed up. Well, OK, this isn’t exactly a recent book, it was written in 1996, but you know what I mean. It is a wonderfully crafted typical crime fiction piece. The protagonist, said ex-criminal lawyer who is now learning cabinet making, is drawn into an investigation involving high-level corruption, dark sexual secrets, hinky property deals and murder. We have hit men after him, shady ex-policemen at every turn, and a rising body count. And a possible romantic relationship. What’s not to like? 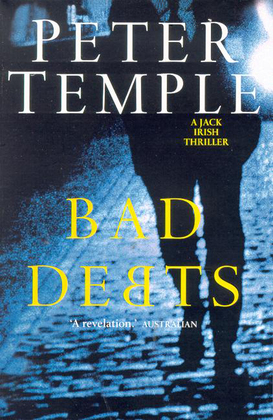 The bad debt of the title refers to a former client who was convicted for a hit and run death, nothing Irish could do to keep him out of jail as he confessed to it, served time in prison, and when he got out, tried to contact Irish and when our boy finally got back to him, he was found murdered. That made Irish start to poke into the old investigation of the matter to find that his now deceased client may have been set up for the hit, and he feels he owes his client a full investigation to exonerate him. Good start. I plan on reading the next in the series very soon. Another former law enforcement person — in Australia — who has left the force and is now a ….. wait for it ……. blacksmith in some tiny back of beyond town. Let me see — there was one who was a falconer, and one who was …. oh crumb, I forget. But they never seem to just leave the force and get a job as a bartender or truck driver. They all seem to take up some nifty occupation. What I did know was that all the self-respect that I had lost with one bad judgment had been slowly given back to me by my ordinary life in my father’s house. A simple life in a simple weatherboard house. Working with my father’s tools in my father’s workshop. Well, Mac Faraday, our smithy, is called on by the grandson of his older friend, to find the man hanging in his barn. Mac is sure that the guy is not the suicide type, and gets to sniffing around, although the local police do seem to be doing a good job. What comes to light is a girls reform school, yeah, way out here in the boonies, that is still in operation. When a skeleton is found in an abandoned mine shaft, things start to fizz around. What could be the connection between the suicide of an old man and the body in a mine shaft. Mac is a smart guy, and persistent, and after poking around, stirs the interest of some darker forces. This is never a good thing. I like this writer, I like his style, I like his characters and his plots. I have a couple more of his books to read. But if you want to know what I thought of a couple of his other books, just put in Peter Temple in the search box. I am too lazy to give you links today. Some days are like that. Some days you can just click, and other days you have to do a little work. This is the 8th in the Tubby Dubonnet mystery series. Tubby is a lawyer working and living in The Big Crawfish, AKA New Orleans, who seems to have enough time on his hands to investigate an old cold case. In fact, it isn’t so much a cold case as it is a nothing case. Back when he was a kid, he saw a young war protester get murdered in the French Quarter, it has haunted him all these years, and for some reason, he starts to investigate it. As in all the Tubby Dubonnet stories, he gets himself involved in police corruption, government messes, and people with secrets. The title comes from a mysterious person who seems to be helping fate along. Lots of great characters, a decent mystery. What I like about mystery series is you get to know the several main characters, and you feel like, “Hey, hi! Haven’t seen you in a while. How’re you doing?” So, yeah. Another fine offering. I got no complaints. 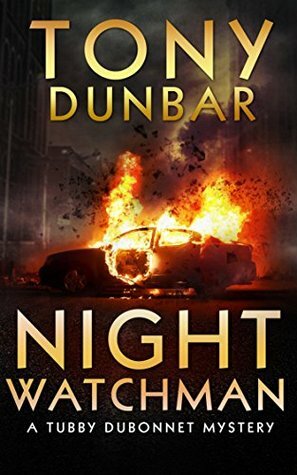 If you want to see what else is in the series, just put in Tony Dunbar in the search window and you will get the list of the others in the series that I have read. I really like literary allusions. Adds a touch of highbrow-ness to what would otherwise be a typical genre detective novel. And of course, you know who Robert Galbraith is, right? That is the pseudonym for …… ta dah ….. J. K. Rowling. Really good book, good mystery. Did you expect less from the redoubtable Mz. Rowling? Of course not. After losing his leg to a land mine in Afghanistan, Cormoran Strike is barely scraping by as a private investigator. Strike is down to one client, and creditors are calling. He has also just broken up with his longtime girlfriend and is living in his office. His last temp secretary/receptionist left, and into his life walked Robin Ellacott, temping only temporarily until she found a real job. What a surprise both were to each other, as he whipped open the door to rush out just as she was about to knock. Turns out she is a treasure, I tell you, a treasure. She is clever and resourceful, and has always secretly wanted to work as a detective, so this job is just the ticket. Except that Strike has no money, and can only find money to pay for one more week of temp service. And then, in walks a client … well, talk about fictional good luck! It seems that his sister, the famous supermodel Lula Landry, known to her friends as the Cuckoo, famously fell to her death a few months earlier. The police ruled it a suicide, but her brother refuses to believe that. So it is a lot of fun, the world of the rich and famous and sometimes stupid, the world of designers, and ambition, and …. oh, never mind. It is a murder mystery. Go enjoy it. I think Rawlings suffers from being Rawlings in that her critics tend to do too much comparison. Some people don’t like her writing style. For me, it was fine. 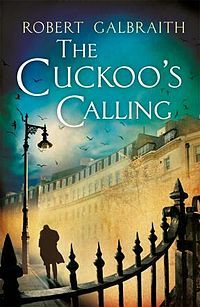 It was a British detective fiction; I guess I expect the characters to all sound like they just stepped out of an Austin novel. 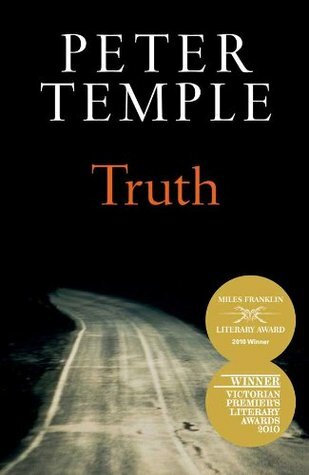 Peter Temple is fast becoming another one of my favorite authors. He is an award-winning Australian crime writer, and so far, his works have an intriguing mix of character development and a mystery to be solved, and it is not clear which is more important. Really nice stuff. Truth is his second novel, but is set in time before the events in The Broken Shore, which I wrote about here. It features DI Stephen Villani, who has only a peripheral role in The Broken Shore. The city is Melbourne, there is definitely a body, in a classy apartment, in a bathtub. The body is of a young woman, who reminds Villani of his own daughter. The dead woman is famous and rich, and has a dubious boyfriend. There are actually three more bodies. Not a decent crime novel without a minimum of two bodies, right? The story has a lot of characters, so if you are looking for an easy read, look elsewhere. This one you have to pay attention to. It all starts with this murder of a young woman in the city’s newest luxury high-rise, followed by horrific torture killings of three hard-core drug-dealing criminals. As Villani and his fractured team investigate, he finds himself heading into murky political waters. The dialog is sparse, spare and terse. The politics rough. The connections between the two story lines seemingly non-existent. But as in all good crime fiction, little by little, it gets woven together. It features the requisite flawed homicide detective. If I ever read a police procedural where the detective is an average Joe with a healthy relationship with the wife and family, I will probably fall over in a dead faint. What I like about this writer is that he just dives into the story. The dialog and exposition suggest back stories which are never fully explained, but eventually you catch on. An interesting technique, which adds to the verisimilitude of the story. How do you like my ‘verisimilitude’? See how it plays on the title, Truth? This is all about truth, what is, what isn’t, what passes for, what bypasses it altogether. Really good book. Falconer wrote Not Alone, which you can read about here, and which I really loved. Now, although I did not mention it in my comments on Not Alone, the writing wasn’t the best, but good enough, and the story line was so good it carried the book. 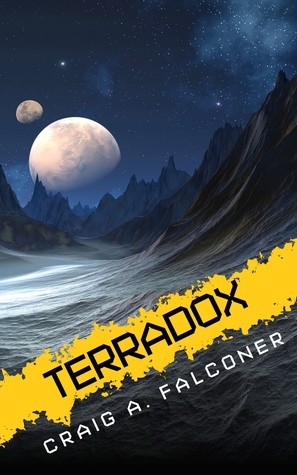 I am sad to say that although most of the story of Terradox was good, the actual writing was not even as good as in Not Alone. It is hard to explain what I mean by this. It didn’t have a really polished, professional tone. Almost juvenile, in a way. I am not talking about typos or grammar or those kinds of issues; it was very well edited. I am talking, I guess, style. The story is about an earth that has been so badly destroyed that a single governing body has been created. There is awful pollution and a raging world wide famine. The space program which had begun with an outpost on ummmm Venus, yeah, Venus. (I hate it how I tend to forget these little details.) Holly(wood) was the face of the space program, until the head of the program sent her and some others on what the crew thought was a doomed space landing, only to discover later (after two of their number died on that landing) that it was a fake (think fake moon landing, dudes), to test how people behaved in dire situations. Now she is escorting some high profile elite passengers on a flight to the station on Venus, but at some point, something goes wrong and the ship crashes on an unknown and unseen planet, a whaddyacallit oh yeah, cloaked planet. As they explore the planet, they discover some strange things….. strange as in earth artifacts that shouldn’t be there, strange as in weather zones which are exact quadrants, with one weather system terminating exactly on a line where a different system begins. Gol-darn! This looks like a created planet. By whom? For what? It all ties into politics and Evil Persons and seems scarily like today’s current political situation. Without the space program. I am not mentioning any names, being politically neutral as I am. Final verdict: this author has a great imagination and can certainly work out some mighty fine story lines. But the writing…. the writing. Sigh.